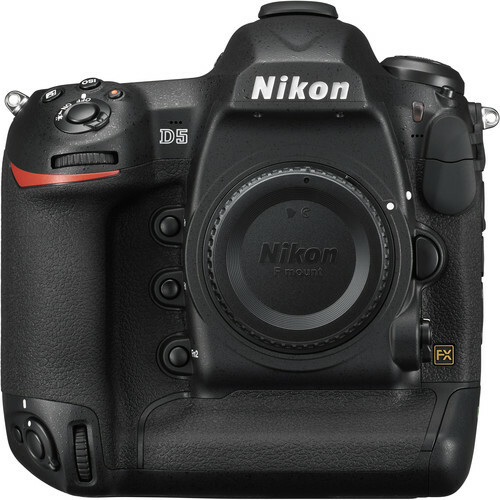 What determines when Nikon releases a full-frame flagship camera? When technological innovation demands it. Introducing the D5, an FX-format DSLR that makes the impossible possible. 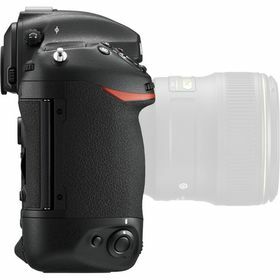 Huge advancements in sensor design, autofocus, metering and image processing result in thrilling new capabilities—low light shooting all the way to ISO 102,400 (expandable to an unheard of ISO 3,280,000), precise AF detection and tracking across that entire ISO range, regardless of your subject's speed or direction changes, blazing fast 12 fps continuous shooting, 4K UHD video and, of course, image quality that captures the hearts and minds of your viewers. This is not iteration, friends. This is innovation...spectacular innovation. How will it change the way you shoot? The low light performance of the D5 might make it a legend. With Nikon's widest native ISO range (100 to 102,400) and highest expanded range (up to Hi-5 ISO 3,280,000), advancements in noise reduction and color fidelity and a next-generation AF system that performs in near darkness (EV -4), a world of new shooting opportunities has opened. Capture clear, sharp images you may not have attempted before—at night, in dark reception halls, arenas and more. For surveillance and security applications, this expanded ISO range means getting a shot others can't see without a flash. 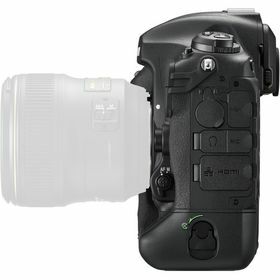 The sheer imaging power of the D5 is exhilarating. 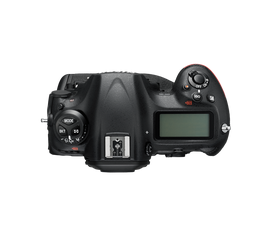 With its Nikon developed 20.8MP FX-format CMOS sensor, the D5 is the highest resolution full-frame Nikon flagship ever and ready for your next challenge. Nikon's superior image processor has been updated to EXPEED 5 to harness the power of this remarkable new sensor, and a second processor has been added just for autofocus. All of the exquisite detail and textures, vibrant colors and rich tonality delivered by NIKKOR lenses is captured in flawless precision, even in extreme low light. Create images that move people. When you hear the D5 shooting at full speed—12 fps with fulltime AF and AE, 14 fps with fixed focus and AE with mirror up—you know the game has changed. For the first time in a Nikon DSLR, a second processor is dedicated solely to autofocus operation and computing. A new shutter and mirror sequencing mechanism nearly eliminates blackout time and mirror slap for bright, consistent views during high-speed capture. 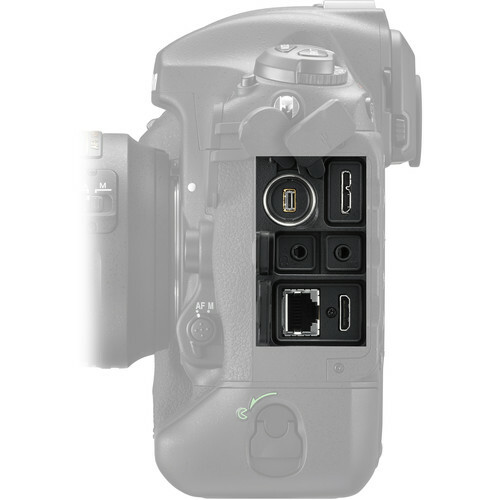 EXPEED 5 and a high performance buffer handle up 200 NEF (RAW) and/or Large JPEG images during one high-speed burst—enough to cover an entire 100m sprint without taking your finger off the shutter release button. The new 180K RGB Advanced Scene Recognition System pulls it all together and ensures every shot has optimal exposure. 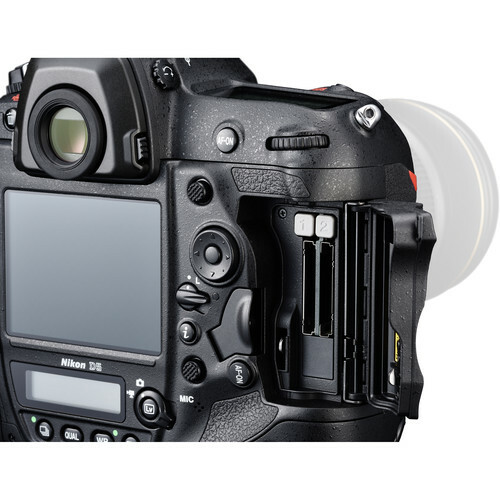 The D5 ushers in a new era of autofocus with the Multi-CAM 20K AF sensor module. 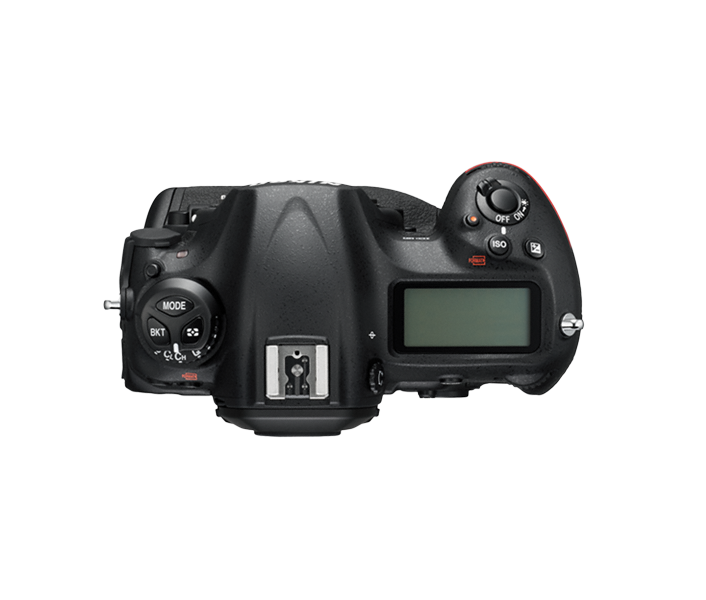 It uses 153 focus points with 99—yes 99—cross-type sensors and a fully dedicated AF processor, and it works in near darkness (EV -4). Small subjects moving at high speed, even in low light, can be tracked with remarkable precision. The system is configurable in 153-, 72- and 25-point coverage when used with Continuous AF. 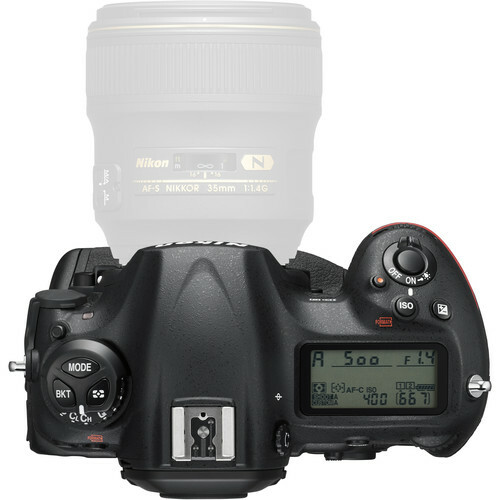 All 153 points are compatible with AF NIKKOR lenses f/5.6 or faster, and 15 central points work with an effective aperture of f/8. Whether you're shooting a high-speed race or A-listers on the red carpet, the D5 has you covered. 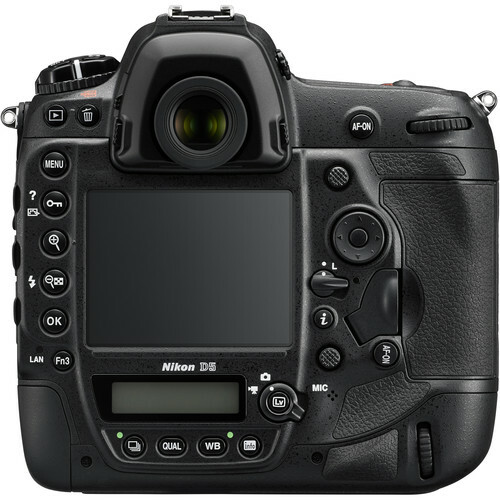 For the first time in a full-frame Nikon DSLR, record 4K Ultra High Definition (UHD) video with dot-by-dot readout for maximum image quality. Capture 3840 x 2160 at 30/25/24p with an angle of view approx. 1.5x lens focal length, or record Full HD 1080 video at 60/30/24p. Shoot stunning 4K UHD Time-lapse, right in camera. Auto ISO handles smooth lighting transitions from ISO 200 to the sensitivity of your choice (all the way up to Hi-5). Enjoy all the professional video capabilities of D4S and D810—simultaneous external and internal recording, Flat Picture Control, Zebra Stripes, a built-in stereo microphone with 20-step increment adjustments and so much more. Combine the D5's low light capabilities and the versatility of NIKKOR lenses, and your next video project is bound to be acclaimed.